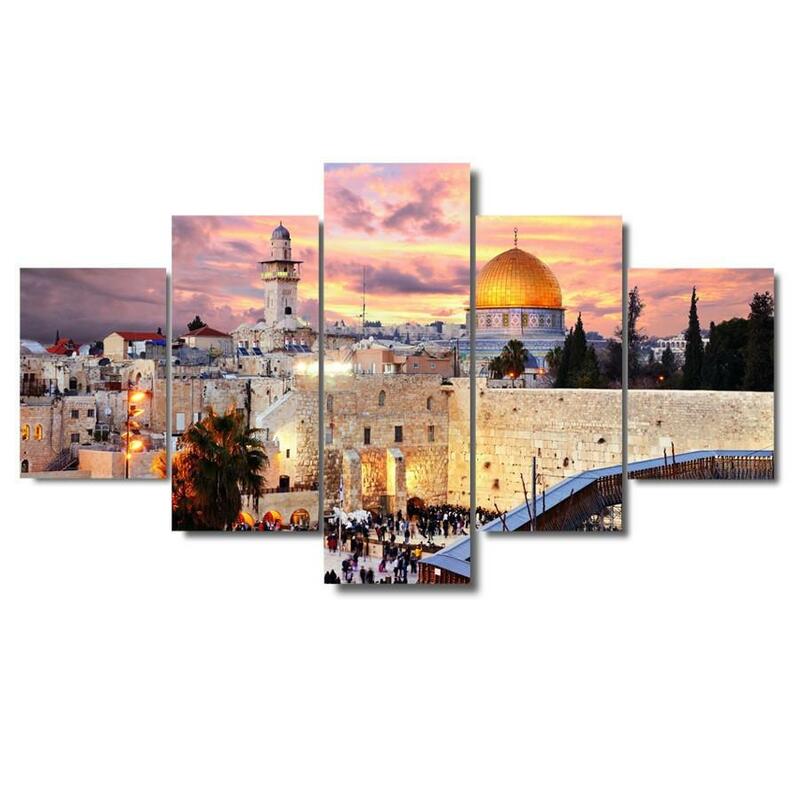 5 Piece Jerusalem Modular Picture – Wall Decor High Definition Canvas. A beautiful canvas artwork featured in modular sections to fit any room or staircase. 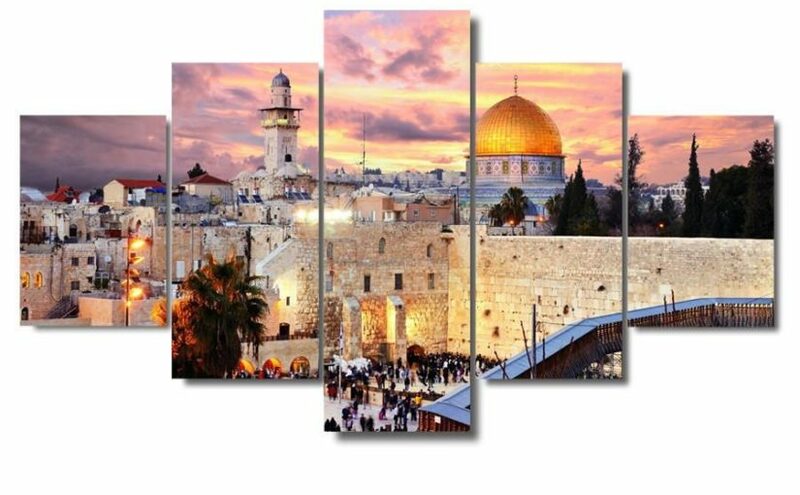 This high definition print on canvas is a true depiction of Jerusalem, Israel in vibrant true to life modern decorative color giclee print on canvas. Framing Options: without frame, the canvas is delivered in rolls. With frame, the canvas is mounted on wooden backed frames ready for wall mount.